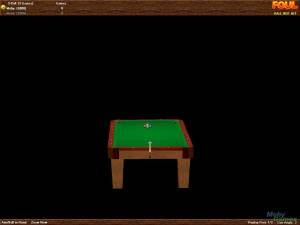 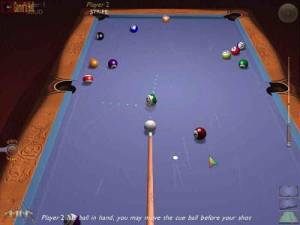 3D Pool is the first game in the mobile pool series by Distinctive Developments. 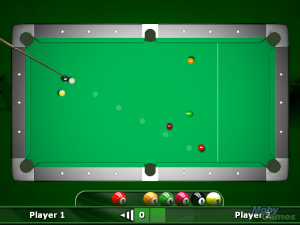 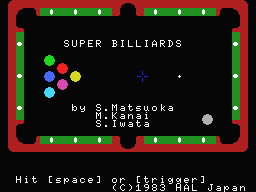 Players can play regular pool games in 4 main modes: Single Player, Two Player (hot seat mode), Trick Shot and Practice. 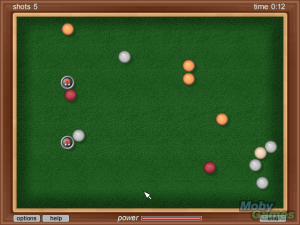 In the singleplayer mode players need to beat progressively difficult opponents. 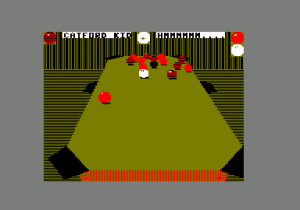 Initially, Manic Mike is the only opponent, but seven more can be unlocked later on: Slow Joe, Lucky Lucy, Flash Phil, Boring Bob, In-off Anna, Hurrican Harry and Clean-up Carl.